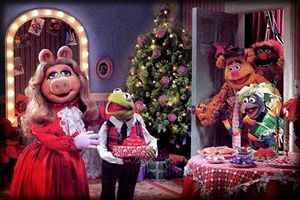 Oscar winner Whoopi Goldberg (Ghost), two-time Oscar nominee Joan Cusack (Working Girl, In and Out) and David Arquette (Eight Legged Freaks, Scream) star with Kermit the Frog, Miss Piggy and an all-star Muppets cast in A Very Merry Muppet Christmas Movie (working title), the first-ever made-for-television Muppet movie to be telecast this holiday season on NBC, it was announced today by NBC Entertainment President Jeff Zucker. "Everyone knows that when it comes to entertainment, there is only one green frog that really matters -- and we are very pleased to have him and all the Muppets characters on NBC," said Zucker. "We're delighted to be working with the Muppets and the incredibly creative team at the Jim Henson Company on this special holiday movie event." 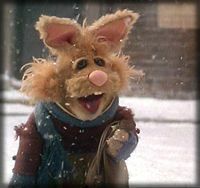 "Partnering with NBC for A Very Merry Muppet Christmas Movie was a natural fit, since they are known as producers of many of television's most memorable comedy hits," said Juliet Blake, Executive Producer and President, Jim Henson Television Group US. "We know that fans will be thrilled to see huge stars like Whoopi Goldberg, David Arquette and Joan Cusack getting wrapped up in holiday hijinks with the whole Muppet gang." The two-hour film, which is currently in production in Vancouver, will feature cameo appearances by Oscar winners Sir Michael Caine and William H. Macy, Snoop Dogg, Carson Daly, Jon Stewart, Kelly Ripa and Rachel Hunter, among others. A Very Merry Muppet Christmas Movie pays homage to all Christmas movies (with a dash of Moulin Rouge, Cirque de Soleil and Fear Factor) as Kermit struggles, on Christmas eve, to save the Muppet Theater from the stylish, yet Scroogish, bank owner Rachel Bitterman (Cusack), who plans to demolish it and open a trendy nightclub in its place. Arquette stars as Daniel, the rookie angel, fresh out of accounting, who is trying to earn his wings by helping Kermit, and Goldberg stars as Daniel's "Boss." Kirk Thatcher directs from a screenplay by Tom Martin (The Simpsons, Just Shoot Me) and Jim Lewis (Muppets Tonight). Juliet Blake and Brian Henson are executive producers of the presentation from the Jim Henson Company.